Weekly Glimpse #8: Creator’s Freedom – Polska Lemon Ltd. Welcome to another text-based weekly glimpse! Today, we are going to talk about your freedom as a dungeon creator in Heroes of Fortunia. Whenever developers create systems that allow for user-created content, we have to be very cautious about what kinds of restrictions we impose, especially in a competitive environment. 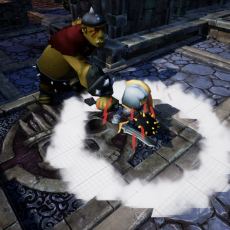 The goal when building Heroes of Fortunia‘s dungeon editing mode was simple: Create an experience which allows for the most amount of freedom, but still poses a challenge for creators and doesn’t allow for the creation of ‘impossible’, overly difficult or boring dungeons. 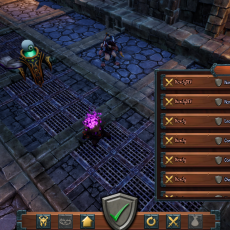 Minions & Traps each have a defense rating, ranging from 1 to 10. There is a maximum limit for defense rating, meaning you cannot put endless amounts of stuff in your dungeon. 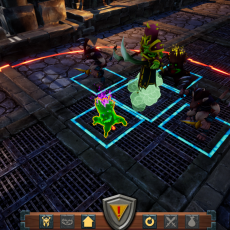 Minions & Traps each have a placement box around them, which is based on their size and their defense ratings. This means, more expensive minions need more space around them, since they are more powerful. There is a maximum limit in regards to the amount of rooms you can have, meaning you cannot create ‘infinite’ dungeons, or dungeons that take hours to complete. Whenever you modify your dungeon, you need to complete it yourself before it will be shown to the world. This ensures that there are no impossible dungeons, and that as you grow as an attacker, you will inevitably also grow as a defender, since you’ll be able to build and complete more challenging dungeons. It should be noted that there is no artificial progression system, such as levels or experience points, in Heroes of Fortunia, apart from the rate at which you acquire new minions & traps. That’s because we want the only limiting factor to be your creativity as a dungeon creator and your skill as an attacker. This concludes it for this week’s glimpse. Be sure to subscribe to our newsletter on the front page, and sign up for closed beta if you haven’t already!